According to the editor of Astronomy Ireland magazine, Mr David Moore, a total eclipse of the moon, on the morning of Monday January 21st next, will be the ‘most spectacular’, when viewed here in Ireland. While there will be other total lunar eclipses, viewed from Ireland over the next number of years, same over the next 11 years will all happen as the Moon either sets or rises, thus granting little reason for viewing. 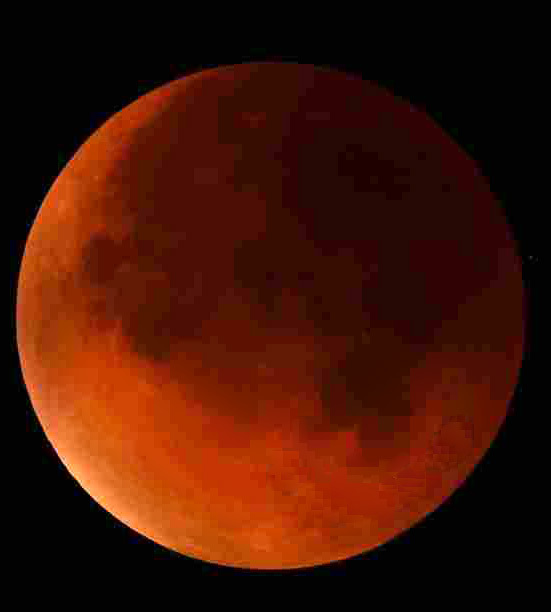 Monday morning’s total Lunar Eclipse spectacle, however will be fully seen (weather permitting) in Irish skies from start to finish, as a brilliant full moon turns to a dim ‘Blood Moon’ from 3:34am to 6:51am, and when our moon will be high in the West. A ‘Blood Moon’ is when the full moon is dimmed down by a factor of nearly one million times, thus turning a reddish, brown colour, lit up by light bent into the earth’s shadow. Of course this expected, spectacular view will depend fully on whether our skies remain at least partially cloudless. If you decide to photograph the event remember dense clouds can cover the eclipse, but scattered clouds can actually add interest to any recorded image. Do not expect to get spectacular pictures using a cell phone; such smartphones or indeed even small compact cameras only have, as a general rule, wide lenses and small sensors. A good digital single-lens reflex (DSLR) camera, placed on a tripod or other stable angled surface, will give more control over the image to be captured, when using a 300mm or more lens. Those working in manual exposure should set their camera on high shutter speed and a high ISO, using F-stop 11 for the visible brighter moon exposures; reducing same as the moon’s surface darkens. Remember to bracket exposures, by shooting at various shutter speeds, noting you will have plenty of time to make any/all adjustments. (The presence of a small torch or mobile phone will help to grant light when making such camera adjustments). To ensure you capture as much information in your images as is possible, set cameras to ‘tiff ‘ or ‘raw’ file format.